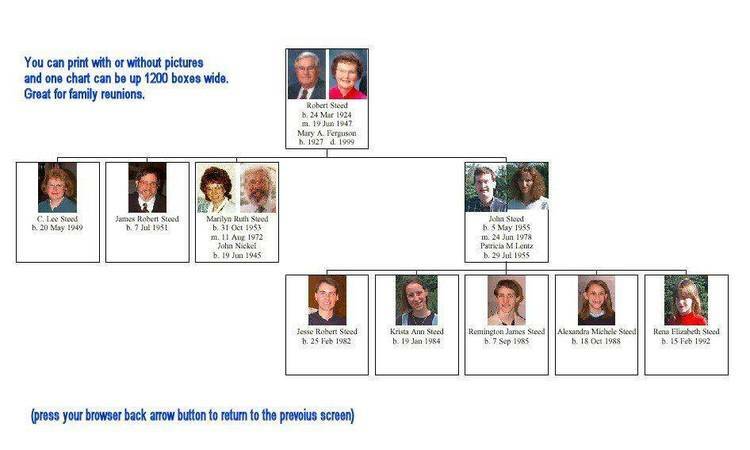 Brother’ Keeper genealogy program version 5.1. Part 2 of 5. The printed manual says you need the line FILES=20 in your CONFIG.SYS file. INSTALL program will do this for you as BK5 is installed. of the BK5.BAT file (if your menu system does not restart automatically). A for age, then it will print each person's current age, or age at death. When it asks for the person to print, type BLANK to print a blank group sheet. words, the custom report would have 95 at the top and the rest would be zeros. the label, and the size of the label are set on option screen #3.
spouse names are not changed.) There are three new options for this question. characters) contains a lower case letter. The field below marriage date and other date says "Marriage ceremony Y/N." "End year" is the year the marriage ended in divorce or separation. print the ceremony and divorce fields if they are not blank. The Word search routine has a new feature added to search marriage records. printers, and to allow faster printing on 24 pin printers. start BKCHART5, press * while at the main BK5 menu. BKEVENTS.TXT file is: beginning year, an ending year, and a name or event. the file and the oldest events at the bottom of the file. to scan pictures, documents, maps, etc. Save the graphics file as a PCX file. read the file with a program such as PC Paintbrush and then save the file. This will place the correct information in the file as to your screen size. has been typed on a message line, then press F5 again to display the file. set up for more than 16 colors. least 512K RAM or up to 1 meg RAM for the highest resolutions. Paintbrush, or Paint Shop and read the file and then save the file. STEED16.EXE, type STEED16 and enter and it will create the file STEED16.PCX. My BBS number is (616) 364-1127 (any baud rate). another program to print the pictures. Copyright Genus Microprogramming, Inc. 1988-1991.
change it so that ESC is the same as F7 and will not erase a field. may turn off the F1 key so that it does nothing. REF: field for a numbering system, then don't change anything. report will not give the wives the last names of their husbands. You can set an option to turn off the mouse. wait for the printer when one of those codes is received. one person. Then you could copy the remaining group to the output directory. top of the screen when the split menu is showing. (also if ALT- does not work, go to a blank field and erase ALT- ).